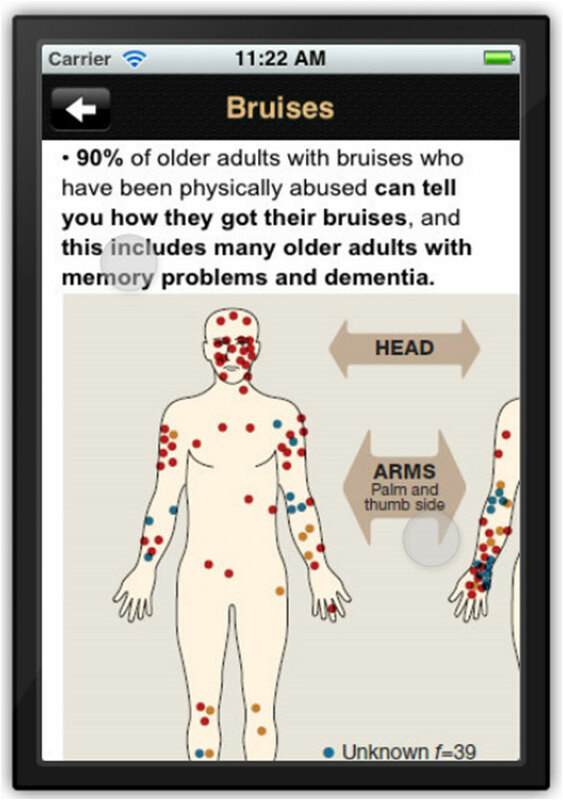 One in ten older Americans experiences abuse or neglect each year. The numbers of abuse reports are growing at the same time that resources for agency responses are shrinking. 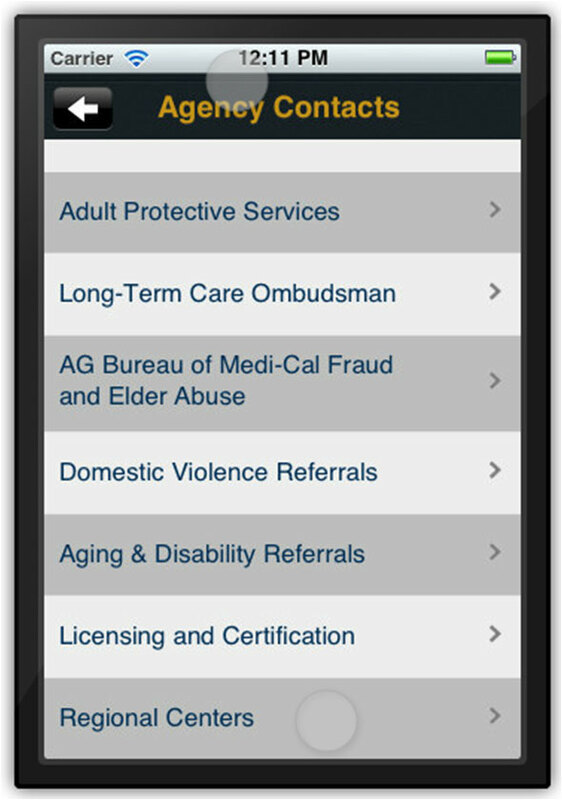 To help California law enforcement in their work responding to abuse of elders and dependent adults (vulnerable adults with disabilities), the Center of Excellence on Elder Abuse and Neglect has partnered with the nonprofit Institute on Aging to develop a mobile app guide or "cheat sheet." 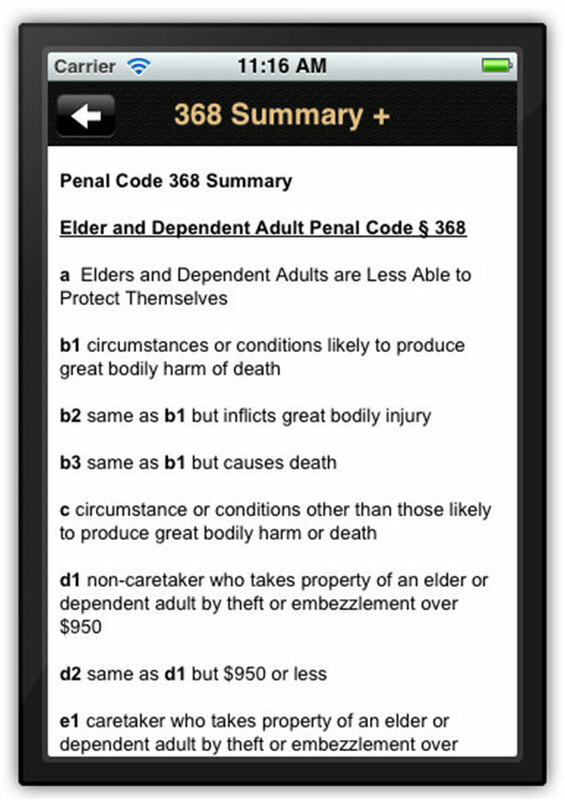 Named "368+ Elder and Dependent Adult Abuse Guide for CA Law Enforcement" in reference to CA Penal Code 368, this product was developed with advice and assistance generously provided by colleagues from law enforcement, civil law, and medicine. 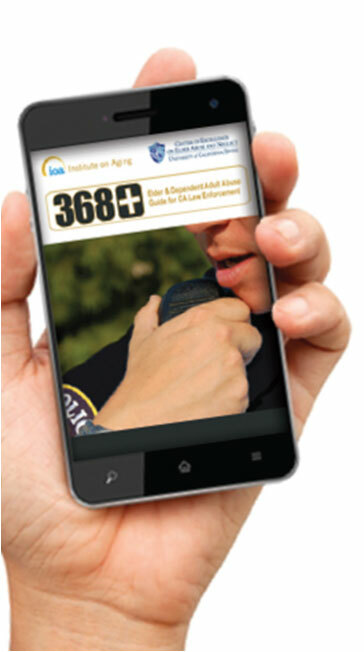 368+ Elder and Dependent Adult Abuse Guide for CA Law Enforcement is now available for Droid devices, iPhones, and iPads. It can also be viewed on your mobile web browser. 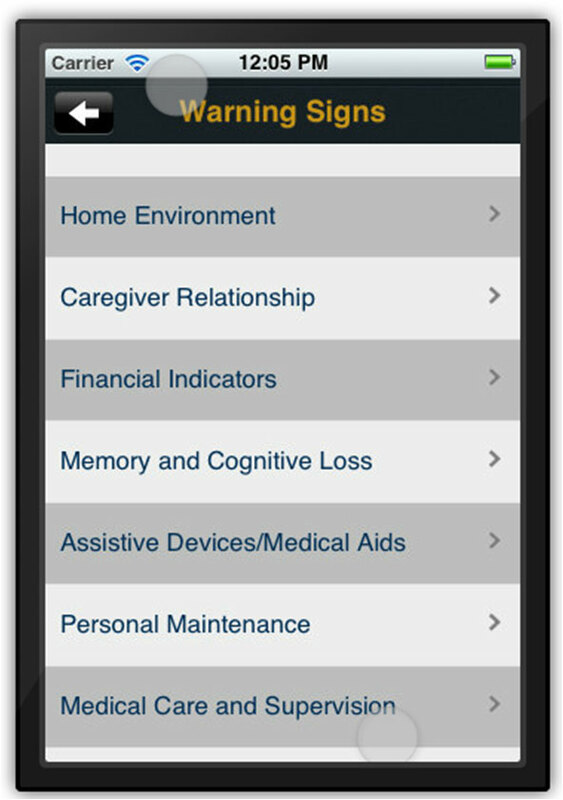 For a limited time, this app is available free of charge, thanks to supporters like The Archstone Foundation, San Francisco Department on the Status of Women, and UniHealth Foundation. This CD describes a full-day training curriculum designed primarily for law enforcement officers to explore the parallels between undue influence (UI) and domestic violence, to better understand the dynamics of some financial exploitation cases and recognize effective investigative strategies. A training program designed to provide a competency-based multidisciplinary training to Adult Services workers and their partners. To everyone who reviewed, gave feedback, and/or contributed content to this app, your participation and collaborative spirit is much appreciated. Excerpts from Geriatric Pocket Doc are used with permission from Laura Mosqueda, MD, University of California, Irvine School of Medicine, Division of Geriatric Medicine & Gerontology. A Special thanks to California Law Enforcement who protect and serve our elders and dependent adults every day! Thank you for taking the time to learn more about this important issue.